When the bewitching Diana Ravenscroft comes to quiet Tinker's Cove and opens Solstice, a quaint little shop offering everything from jewelry to psychic readings, Lucy Stone writes her off as eccentric but harmless. Even after Diana gives her a disturbingly accurate reading, Lucy can't help but befriend the newcomer. But not everyone in town is so enchanted. And when Lucy stumbles upon a dead body near her home, she can't shake the feeling that something sinister is lurking in the crisp October air. . . Convinced Diana is an evil witch, prominent businessman Ike Stoughton blames her for a series of recent misfortunes, including Lucy's gruesome discovery and his own wife's death, and rallies the townsfolk against her. 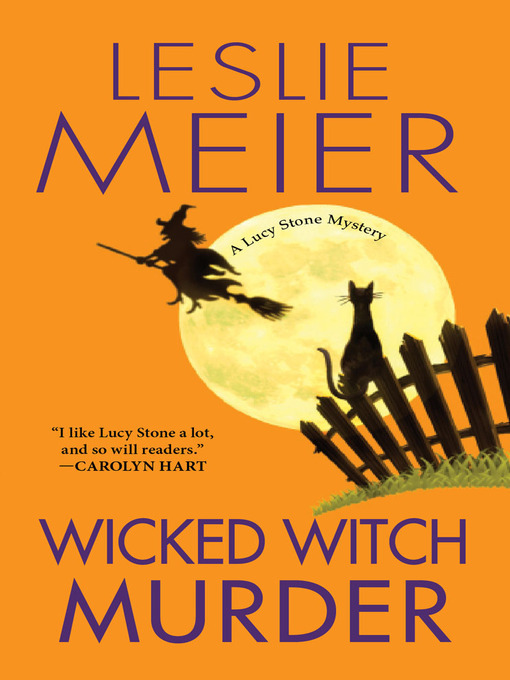 But after Lucy learns the murder victim was a magician and close friend of Diana's, she starts to wonder who's really stirring up a cauldron of trouble. By Halloween, her suspicions lead her to a deadly web of secrets--and a spine-chilling brush with the things that go bump in the night. . .